Hundreds of thousands of pilots from 34 countries were trained on the aircraft over a period of 25 years. South Africa used the plane as trainer until 1984. The plane was well fit as a training aircraft, easy to maintain and they had a lot of the same characteristics as contemporary jet fighters. They did not have the same speed, but was more maneuverable and able to do all aerobatic maneuvers. The plane is relatively difficult to control and are referred to as “the pilot maker”. 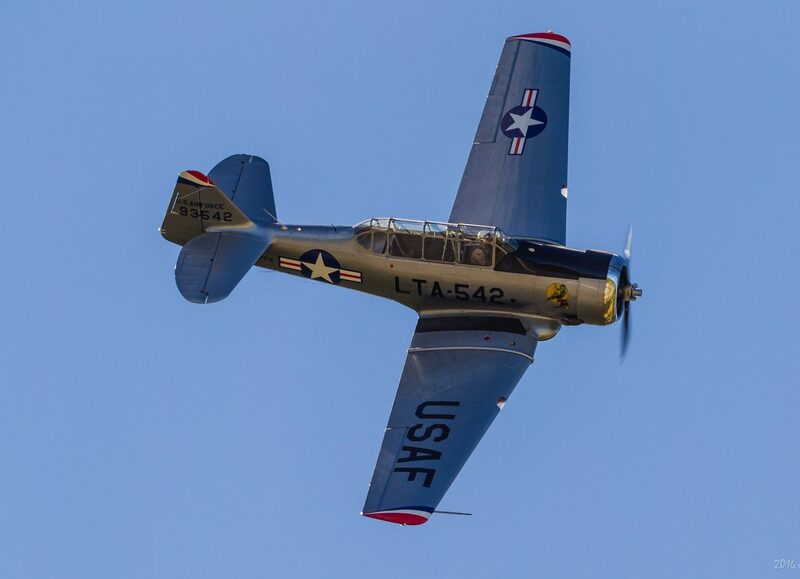 Can you handle a T-6 / Harvard in all conditions from the rear seat, you can fly anything. Norway’s Air Force used the aircraft as trainer from 1945 to 1956 and had a total of 24 aircraft that were delivered through a “lend lease” agreement. October 1952 – 23. May 1965 included in the Royal Canadian Airforce as S/N 20403. Flew here in the famous demonstration team RCAF “Goldilocks Aerobatic Team”.